They say the state of one's bedroom/private space is a reflection of one's mind. If you have an organized house or office then you have a clear mind, if your bedroom or office is messy it also follows that you have a troubled mind (not in a crazy-psycho way) since you have a lot of things going on in your head. No matter how large the space is, if you jammed it with too many furniture such as chairs, tables and dressers, it will definitely look smaller. 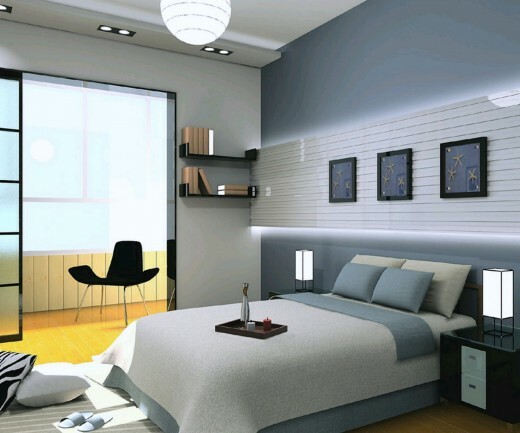 So try to maintain a minimalistic design when it comes to furniture especially when your bedroom space is small. If you have a fairly small room and you want it to look bigger, experiment with dark colors. White is minimalistic alright but it is better to use dark shades of colors as they give off an illusion of a larger space. When you use a curtain, use it in such a way that it is way above the window to create an illusion of larger windows. Do not fill the room with too much stuff. One large bed and sofa is enough…if you can manage to use a built-in cabinet (from floor to ceiling) place it in one corner of the room. 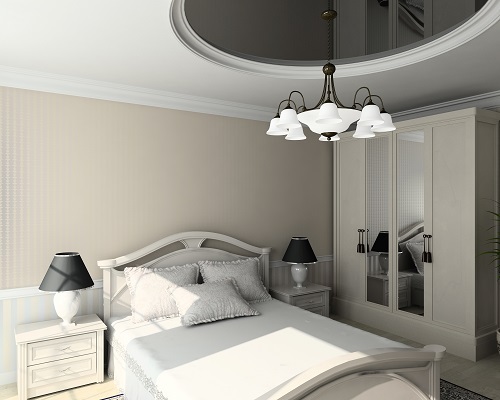 Adding large mirrors placed across each other will give the bedroom an airy and radiant feel. 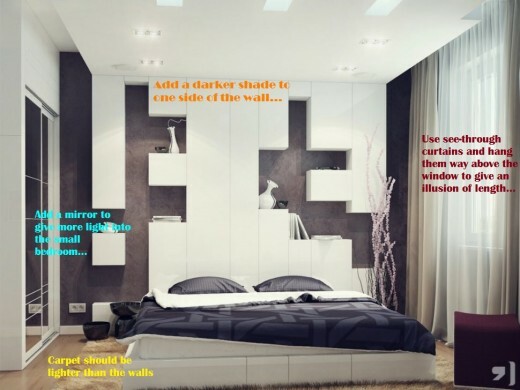 Mirrors absorb and reflect more light and your bedroom will surely look bigger and more organized that way. Remove all the furniture from the bedroom and clean it. If you want to re-decorate or paint the walls with a darker shade this is the best time to do it…Then before moving the furniture back in, decide what needs to remain and those that should be removed or replaced for that matter. 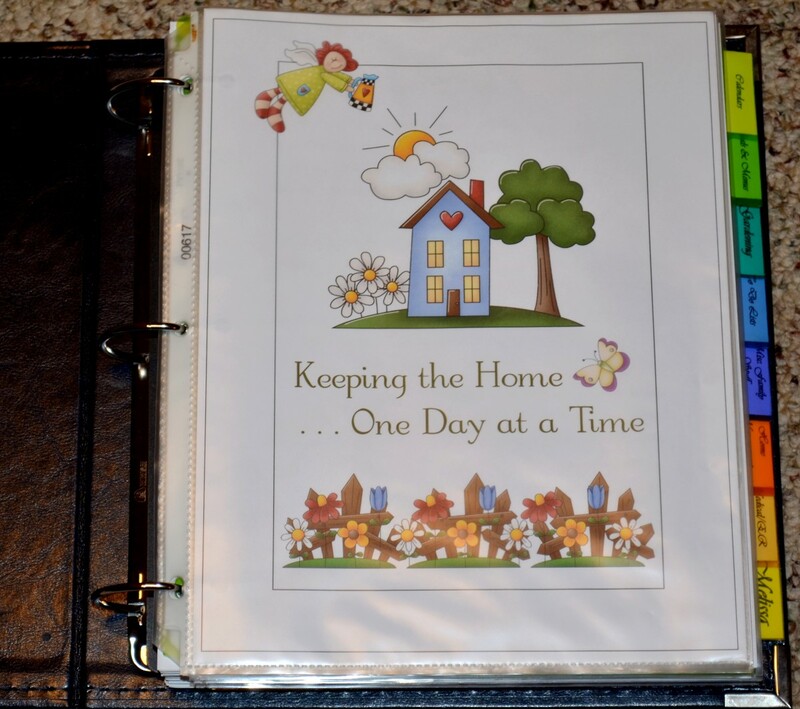 The things that you no longer use should be thrown away, donated or stored inside the storage area. If your home office is adjacent to your bedroom or is in the bedroom, use a divider to create a separation. 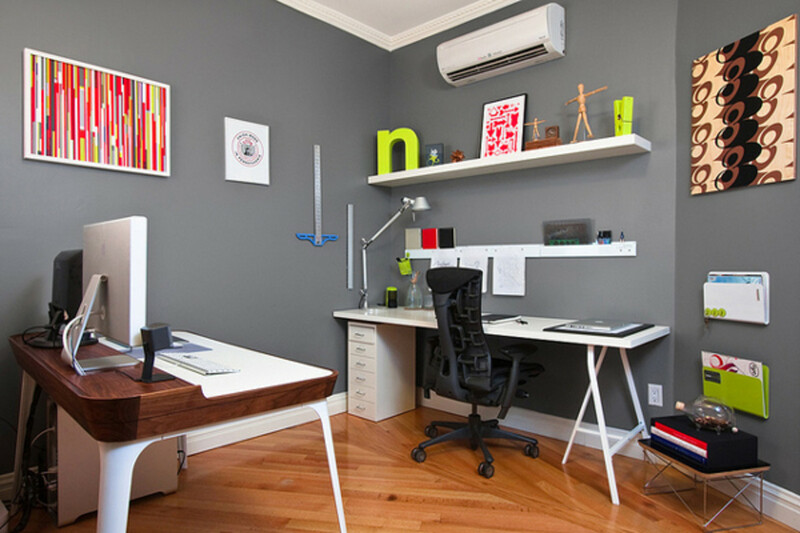 Use desks that are minimalistic such as the ones that are mounted on the wall. That way, it is easy to clean and it does not take up any floor space. The carpet color should be lighter than the walls. Use see-through curtains…not the ones which are heavily draped from ceiling to the floor. Avoid too many lights in the bedroom as well. Minimalistic lighting system is very much recommended especially in smaller bedrooms. Which Part of the Bedroom is the Most Difficult to Organize? The bedroom closet if often the most chaotic and cluttered space in the bedroom. Shoes are everywhere, clothes either hang on the closet door or lying on the floor, accessories are scattered everywhere. This is the common picture of a closet. And often, people just can’t get rid of the unnecessary stuff and so they tend to buy more things that contribute to more bedroom clutter. 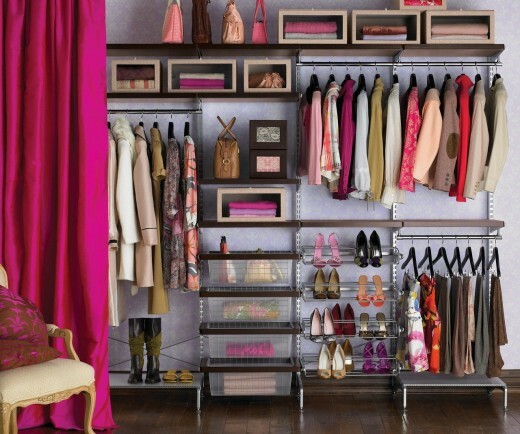 When you organize your bedroom, it is very important to start organizing with your closet. Check all your clothes, accessories and shoes. Throw away or give away all the things that you no longer need. Keep the things that you love and those that you will surely use in one way or another. If you have a sister or a friend, let them help you decide what needs to stay and those that need to be thrown away. Placing 2 separate boxes in the bedroom will help you decide what needs to be given away and those that are better off thrown away or sold to somebody. Every time one of the boxes is full, bring it to your car and give it to charity or the resale shop. Freeing some space inside the closet is a very rewarding experience. 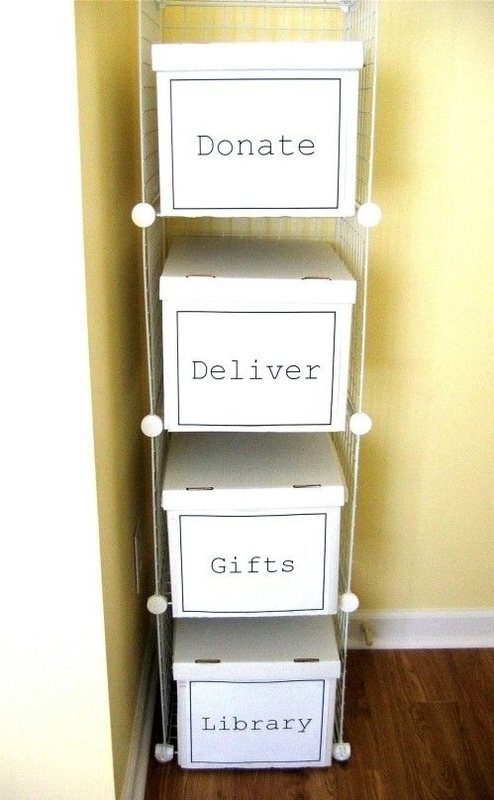 When you have created so much space, you can then arrange your things properly and organize them by category. Dedicate one space in the closet for the shoe rack…You can place the shoes that you do not always use inside shoe boxes and pile them neatly at the bottom part of the closet and those that you use regularly can be displayed on a shoe rack so you can just get them and use them anytime you want without going through the whole closet searching for just one pair of sneakers. Arrange your clothes by category- dresses, jeans, shirts, shorts, underwear, socks, handkerchiefs, ties, jackets, pants, skirts and hats. 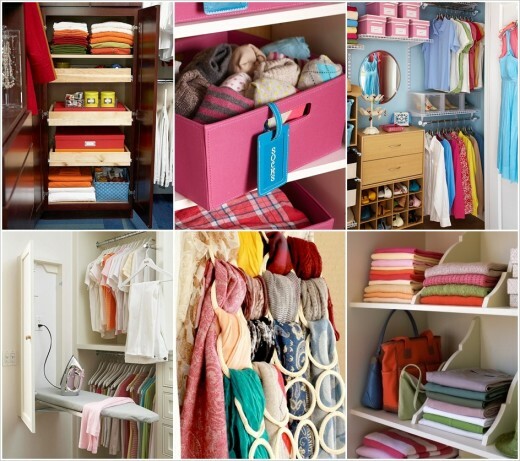 Arrange each category by color…So it will be easier for you to search through your clothes. 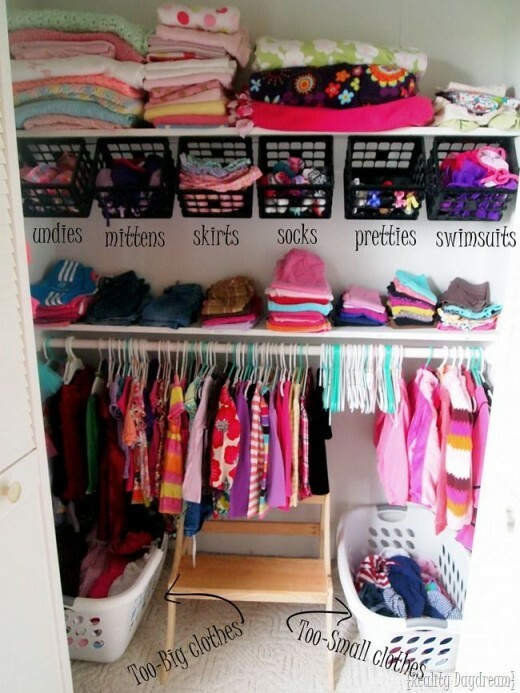 Hang everything that is long such as dresses, pants, jackets and skirts. You can fold the shirts and shorts. Your other accessories should be separated and should be placed off the floor such as hats, belts, scarves and ties. Your bed plays a major role in the bedroom design and often, it is the major contributor to bedroom clutter. The bed design should complement the bedroom space and color. Choose the bedding designs carefully. Pillows and bed sheets can sometimes add visual clutter in the bedroom so consider the design as well. In choosing your bed, consider the size carefully. Do not buy a king-sized bed if you do not need it or if you are living by yourself. King-sized beds are only ideal when the bedroom space is large. Size matters in the bedroom. Streamline your beddings as well. Instead of using printed beddings, consider the plain ones. That way you can mix and match bedding designs whenever you want. White beddings are often more ideal than the printed ones. Do not use many pillows as well. Two or three pillows are enough. It is always necessary to separate your home office from the bedroom. 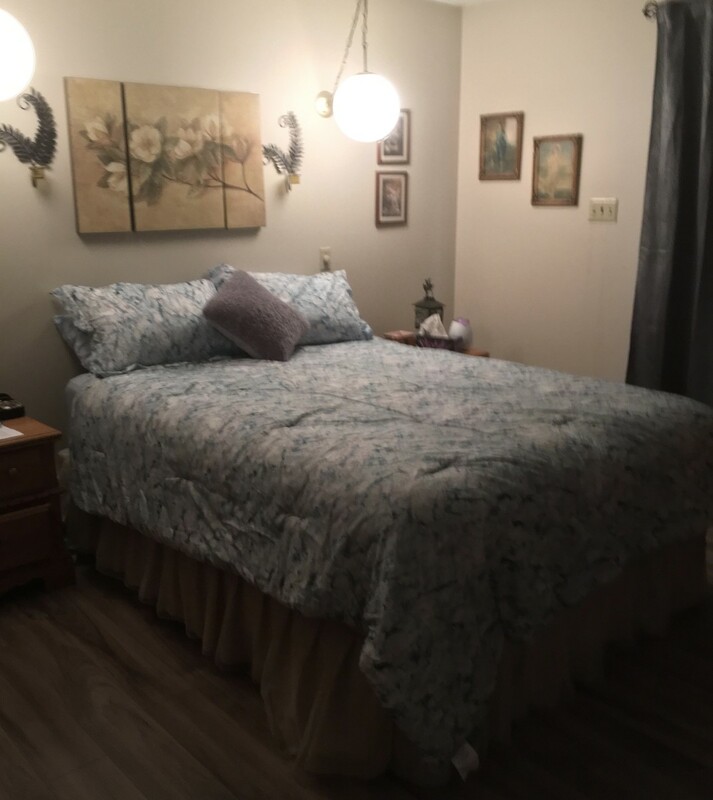 It is not healthy because when you put it together in one place, it will only add a formal and stressful atmosphere to otherwise comfortable and relax ambiance of your bedroom. If you cannot find any other place in the house for your home office beside the bedroom, make a separation. Make sure that your home office has a door where you can shut yourself inside when you work. Creating a separation between your bedroom and home office takes your mind off from work when you need to rest and sleep. And when you need to work, shutting yourself inside your home office makes you more productive and away from noise. Concrete Example Of How to Organize Your Bedroom.. Practicing a daily ritual in the bedroom makes it clutter-free for as long as you want. - Make your bed on a daily basis. Do not leave your bed messy and disorganized. Make it a habit to make your bed as soon as you wake up in the morning or before you go to work. - Let the sun shine through your windows and into your bedroom. - Place a laundry basket inside your room so when you arrive in the evening after work you just have to throw your dirty clothes in the laundry bin and you can avoid the urge to just hang it anywhere. - Do not take out everything all at once to avoid bedside clutter. It can be a book, your night cream or a pair of bedroom slippers. - Choose the items you place inside your bedroom very carefully.